Pretty formidable’ team from Jamaican hockey federation to play in N.S. May 4, 2017 / NationalTeamsOfIceHockey / Comments Off on Pretty formidable’ team from Jamaican hockey federation to play in N.S. 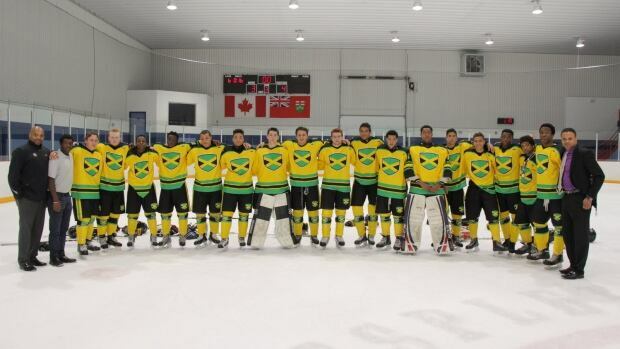 Hockey players from the U20 Jamaican Olympic Ice Hockey Federation will be coming to Dartmouth this month to play two exhibition games, with the goal of getting more players from diverse backgrounds involved in the sport. The players are of Jamaican descent and the majority play in Ontario. They will be going up against a team comprised of some members of the Halifax Mooseheads, local Junior A players and midget hockey players from the Halifax area (Nova Scotia U-20 all-star team),. “We’re hoping to expose Canada’s favourite pastime to historically marginalized communities,” said Kendrick Douglas, organizing committee chair for the event, which is called Celebrating Diversity Through Sport. The game will take place on May 14 at the Dartmouth Sportsplex and will be broadcast on Eastlink. “The majority of the players play in the Ontario Hockey League, with the remainder of them playing Junior A with hopes of getting U.S. scholarships,” said Douglas, a Halifax lawyer and former college hockey player. There will be another game the day before at the Sportsplex, this one between the U20 Jamaican team and a team of prominent local players and community leaders from diverse backgrounds. The Nova Scotia government is providing $50,000 for the games from the Nova Scotia 150 Forward Fund. Graeme Townshend is the coach of the visiting team. Born in Kingston, Jamaica, he played with three NHL teams, including the Boston Bruins. Other events are being planned for the team, including trips to the Nova Scotia Sport Hall of Fame and the Black Cultural Centre for Nova Scotia. As the next two hosts of the Winter Olympics, both countries are pushing to improve their ice hockey performances. In February 2018 the South Korean men’s national ice hockey team will make its Olympic debut, hosting reigning gold medal champion Canada in Pyeongchang. Not a traditional hockey power by any means, the Koreans have spent the past seven years since being awarded the Olympics drastically improving their level of play, and have finally seen the results of those efforts. At the 2017 World Ice Hockey Championship, South Korea, playing in Division I A, the second tier of the tournament, managed to earn a promotion to the following year’s top level tournament, which is reserved for the best 16 hockey-playing nations in the world. Thus 2018 will mark both South Korea’s debut at the Olympics and the main World Championships. How the Koreans achieved this rapid rise through the ranks (they were rated 31st in the world when awarded the Olympics in 2011, and will enter 2018 as the 18th best) is no secret. Like many other nations that don’t have a strong domestic hockey program, South Korea has spent the past several years recruiting North American hockey players to come and play for teams in the country, and then naturalizing them, allowing them to play for the national team (the International Ice Hockey Federation, the governing body of ice hockey, requires a player to spend at least two years in their new country before they can play for them internationally). Thus the Korean team at the 2017 World Championship was dotted with notably un-Korean names like Bryan Young, Michael Swift, Matt Dalton, or most recently, Alex Plante. This is not an unusual situation, as four of the six teams at the Division I A tournament had naturalized players on their team, and historically other nations have done the same, though often with players who have some ancestral connection to the country. The Koreans, though, brought in anyone willing to join them, which mainly consists of players who are unable to make a team in the United States’ National Hockey League (NHL), the top league in the world, or one of its minor league affiliates. While that seemed like a daunting issue for the upcoming Olympics, where it was presumed the NHL would allow its players to participate for the sixth consecutive time, in early April the league announced it would not participate in the next Winter Games. Thus the chances of the Koreans greatly improved. The story of the South Korean plans for their Olympics also has an impact on the next host after them, Beijing, China, in 2022. Unlike the Koreans, who have strove to improve their national team, the Chinese hockey team has seen little improvement since they were awarded the Olympics in 2015; they are currently the 35th best team in the world, out of 48 countries that participated in 2017, and most recently earned promotion to Division II A, the fourth tier of the World Championship level. However China does have the ability to make rapid strides if they so desire. The Russian-based Kontinental Hockey League (KHL), widely regarded as the top league after the NHL, established a team in Beijing in 2016, Kunlun Red Star, which was supported by the Chinese government. In order to stock the team, several Canadians and Americans of Chinese ancestry were invited to try out, with two of them ultimately joining, as well as Rudi Ying, who was born in China and the first Chinese-born player in either the KHL or NHL. This is a key component for the success of the Chinese national team, if they so desire. As noted the IIHF allows players to play internationally for a new country if they spend two years there, or four if they have already appeared in an international tournament. While it has proven difficult to attract players to the Beijing-based team, which has to fly several hours to play any other team, there are many Canadians and Americans with Chinese ancestry playing hockey who are a lot more willing to relocate to China, especially with the prospect of competing at the Olympics. To that end Kunlun announced in March they had hired former NHL and KHL champion coach Mike Keenan to head the team, with instructions to develop Chinese players in the coming years so they are ready for the Olympics. Keenan is known as a tough authoritarian coach, but able to get results, so it may be exactly the thing the Chinese need. The use of imported players for national teams is a controversial one in some circles of international hockey, but as South Korea has shown, it can produce results. It remains to be seen if the Koreans will be competitive at the 2018 Winter Olympics, but without the NHL there they stand a far better chance now. Whether the Chinese want to follow the same path so they can put on a decent performance in 2022 is to be determined, though they certainly have the ability and the willpower to do so. Either way, hockey in East Asia is starting to be recognized as something to be aware of. The Philadelphia Flyers and Colorado Avalanche didn’t make the NHL playoffs. Instead, they’ve set up shop on Team Canada. Five Flyers and four Avalanche are on coach Jon Cooper’s squad for the IIHF world championship that opens Friday in Paris and Cologne, Germany. “On the two power-play units especially, there’s one with nearly all Philadelphia players and the other with nearly all Colorado players,” defenceman Mike Matheson of the Florida Panthers said this week. “I think the coaches and management have done a good job of finding a group of guys who already have chemistry. The Flyers are all forwards — Claude Giroux, Wayne Simmonds, Travis Konecny, Sean Couturier and Brayden Schenn. The Avalanche contingent includes goalie Calvin Pickard, defenceman Tyson Barrie and forwards Matt Duchene and Nathan MacKinnon. There are also three Winnipeg Jets in goalie Eric Comrie, defenceman Josh Morrissey and centre Mark Scheifele. It may have helped that Canada’s general manager Ron Hextall is also GM in Philadelphia. 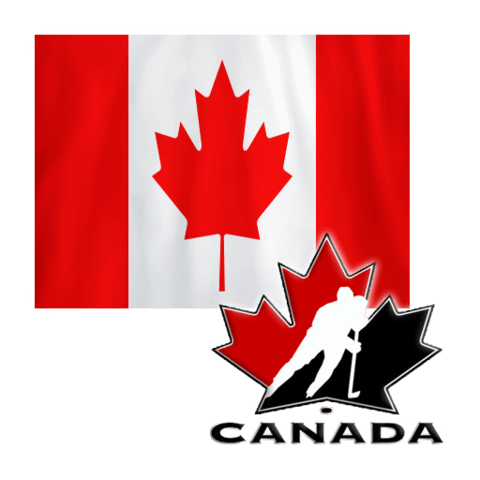 Canada will be gunning for a third straight world championship gold medal at the 16-team tournament, after topping Finland 2-0 in last year’s final and going undefeated in 2015. They look to have drawn the weaker of the two eight-team preliminary round groups. They open Friday in Paris against the Czech Republic, followed by clashes with Slovenia, Belarus, France, Switzerland, Norway and Finland. The United States, Sweden and Russia are in the Cologne-based group along with Germany, Latvia, Denmark, Slovakia and Italy. The top four from each group advance to the quarter-finals on May 18. The semifinals are on May 20 in Cologne with the final a day later, also in the German city. Canada dominated the Swiss 4-1 in their lone pre-tournament game on Tuesday in Geneva, outshooting them 41-17. Giroux and Simmonds each picked up a goal and an assist. Chad Johnson of the Calgary Flames will likely be the starting goaltender, backed up by Pickard and Comrie, who spent most of the season with the AHL’s Manitoba Moose. The defence so far has Barrie, Morrissey, Matheson and his Panthers teammate Jason Demers, Calvin de Haan of the New York Islanders and Marc-Edouard Vlasic of the San Jose Sharks. Besides the Philadelphia and Colorado players, a strong group of forwards includes Scheifele, Brayden Point and Alex Killorn of Cooper’s Tampa Bay Lightning, Mitch Marner of the Toronto Maple Leafs, Jeff Skinner of the Carolina Hurricanes and Ryan O’Reilly of the Buffalo Sabres. Four players have already won a gold medal for Canada this season as Vlasic, Giroux, Duchene and O’Reilly played in the World Cup of Hockey in September. Couturier, MacKinnon and Scheifele played for Team North America in the World Cup. Vlasic and Duchene were also on Canada’s 2014 Olympic gold medal squad. There are five players back from last year’s world championship gold medal team — Pickard, Matheson, Duchene, O’Reilly and Scheifele. Copper’s assistants are Gerard Gallant, international hockey veteran Dave King and Dave Hakstol of the Flyers, who will get a look at half of his NHL squad at the world championship. In the tournament opener, Flyers Radko Gudas and Jakub Voracek will play for the Czech Republic. Pierre-Edouard Bellemare plays for France, Valtteri Filppula for Finland and Ivan Provorov and Roman Lyubimov for Russia. Other NHL players on the Czech side include goalie Petr Mrazek of the Detroit Red Wings and forwards Tomas Plekanec of the Montreal Canadiens and David Pastrnak of the Boston Bruins. Russia’s team is drawn mostly from the KHL, but has three Lightning players in goalie Andrei Vasilevskiy and forwards Nikita Kucherov and Vladislav Namestnikov to go with Artemi Panarin of the Chicago Blackhawks. The Americans have 19 NHLers on coach Jeff Blashill’s 23-man roster including Jack Eichel of Buffalo, Dylan Larkin Detroit, Johnny Gaudreau of the Calgary Flames and three Jets — Connor Hellebuyck, Jacob Trouba and Andrew Copp. The Ice Hockey World Championship is set to open with games in both Cologne and Paris. Neither of the host nations is among the favorites, but playing at home, Germany may be capable of getting past the opening round. 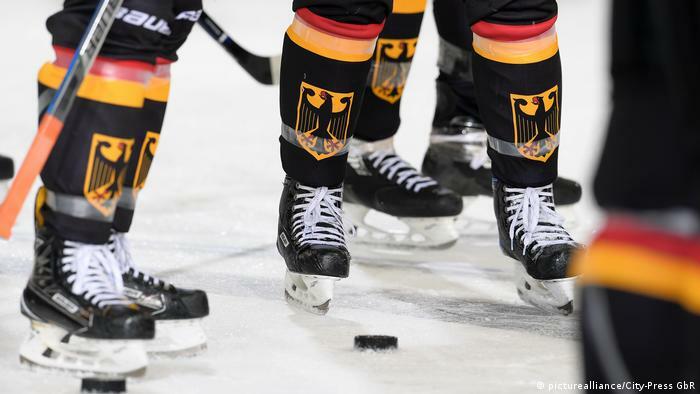 Germany go into the International Ice Hockey Federation’s (IIHF) world championship with the aim of building upon their improved form since former NHL star Marco Sturm took over as the national team’s head coach and general manager in mid-2015. In his first world championship, in Russia last year, the national team, which had endured some dark days since the last time Germany hosted the world championship, in 2010, played a strong opening round before falling to the hosts in the quarterfinals. Last summer, they also managed to qualify for next year’s Winter Olympics in South Korea – after having failed to qualify for the 2014 Sochi Games under Sturm’s predecessor, Pat Cortina. However, the 38-year-old Sturm, who is in his first coaching job since hanging up his skates in 2014, has refused to set any specific goal for the tournament, which culminates with the final in Cologne on May 21. In an interview with the German hockey weekly “Eishockey News,” Sturm refused to be drawn on whether the national team needed to earn another trip to the quarterfinals for this world championship to be deemed a success. On the ice, Germany will be led by veteran defenseman Christian Ehrhoff, who Sturm announced this week would be his captain. In Thomas Greiss of the New York Islanders, Germany, who are No. 10 in the IIHF men’s rankings, have an experienced NHL goalie between the pipes, as well as his teammate in Brooklyn, veteran defenseman Dennis Seidenberg, who is making his first appearance at the world championships in nine seasons. So far, the only other NHL player on the team is Tobias Rieder of the Arizona Coyotes. However, when he has to officially name his team on Friday, Sturm is expected to leave a couple of rosters spots open so that another NHL player or two can fly in after they have been eliminated from the playoffs. German fans will be hoping that the Anaheim Ducks prevail over the Edmonton Oilers, as this would mean young superstar Leon Draisaitl, could strengthen the national team. Currently the two teams are tied at two games each in their best-of-seven series. However, by the time Draisaitl joins the team, if he does, Germany could already be behind the eight ball, as not only do they face three of the sports biggest nations in the United States, Sweden and Russia in their first three games in Group A, but all three have named strong teams including plenty of NHL talent. “This year, there is more NHL-power than usual,” Sturm observed. The United States have a talented young team, beginning with Jack Eichel of the Buffalo Sabres, who is back after competing in his first world championship a year ago. The Swedes also have an NHL-star-studded lineup, as they look to make good this time, having failed to get beyond the quarterfinals in the past two years. As always, Russia, with numerous stars from both the NHL and the world’s second-best league, the KHL will be among the favorites, although their best, Alexander Ovechkin, won’t be their from the very start. Pittsburgh’s 3-2 win over Ovechkin’s Capitals on Wednesday has put Washington on the brink of elimination from the Stanley Cup playoffs. Should they lose on Saturday, Ovechkin, who loves to play for his country, could be on a plane to Germany just hours later. Russia play Germany on Monday. Canada, who won their 26th gold medal at last year’s world championship, pulling them to within one for the record holders, Russia, at 27, will also ice a strong NHL-sourced team and will be among the favorites to win their third in a row. Not only that, but despite the presence of hockey powers Finland and the Czech Republic, they are in what on paper looks to be the slightly easier Group B, which is based in Paris. The co-hosts, France, who have made progress in recent years and are currently ranked 14th in the world, will certainly have their hands full, but veteran netminder Cristobal Huet, 41, who will be playing in his last world championship and the rest of “Les Bleus” have in the past proved capable of pulling off the odd upset. In Edouard Bellemare (Philadelphia Flyers) and Antoine Roussel (Dallas Stars), coach Dave Henderson also has a pair of current NHL players at his disposal. Two of the quarterfinals will be played in Cologne and two in Paris. The semifinals, the bronze-medal game and the gold-medal game will all be played in Cologne. Philadelphia Flyers forward Pierre-Edouard Bellemare rarely gets more than a few days each summer to return to his native France. He typically spends his off-season in Sweden, where he developed his game as a pro before becoming an unlikely N.H.L. rookie in 2014 at 29. Having recently bought a house in Philadelphia after three seasons with the Flyers, he expects opportunities to visit family in France will become even more scarce. Fortunately, he has been afforded a three-week business trip back home. Paris is the co-host, with Cologne, Germany, of the World Ice Hockey Championship, which begins Friday. It is an opportunity for Bellemare and his national team colleagues to play in front of friends and family while developing their sport in an emerging hockey nation. “My mom and some of my sisters have been to the world championships in different countries, but not in France,” said Bellemare, who was born in Paris. “Nobody has ever seen me play an important game in France. One of the few French players to have earned an N.H.L. roster spot, Bellemare leads a group that is admittedly exhilarated to serve as a host nation at the worlds for the first time since 1951. But the French team, which has been at the top level of international hockey for less than a decade, is also hoping not to wilt under the pressure. For much of hockey’s history, France has been a nonentity. But it earned a measure of legitimacy in 2007 when it defeated nations like Estonia, Poland and the Netherlands at the Division I, Group A world championships to earn a promotion to the International Ice Hockey Federation’s top division. France then lost, 9-0, to Sweden at the world championships the following year in one of the more humbling defeats in the country’s nascent hockey history. But the French team avoided relegation year after year and eventually did the unthinkable. First, France defeated Russia, 2-1, in 2013. The next year France advanced to the playoff round after opening the tournament with a shocking 3-2 shootout victory against Canada. “We had to build the confidence with some positive results,” said Dave Henderson, who has coached the French national team since 2005. Now 65, the Canadian-born Henderson never imagined any of this when he first came to France during a college sabbatical. Without a word of French, he went to visit the grave site of his grandfather, who died during World War I near the city of Amiens. Henderson ended up playing hockey in the city before taking on the job of grooming the country into a legitimate hockey nation. That task could be greatly aided by the team’s overcoming the requisite hosting pressures to compete in a group that includes the powerhouses Canada and Finland, who won gold and silver in last year’s tournament in Russia. “We have one of the toughest groups ever since we’ve been in the world championships,” Bellemare said. “So I think guys are trying to keep it down, keep it cool, because we know it’s going to be a tough one. It’s a great opportunity. 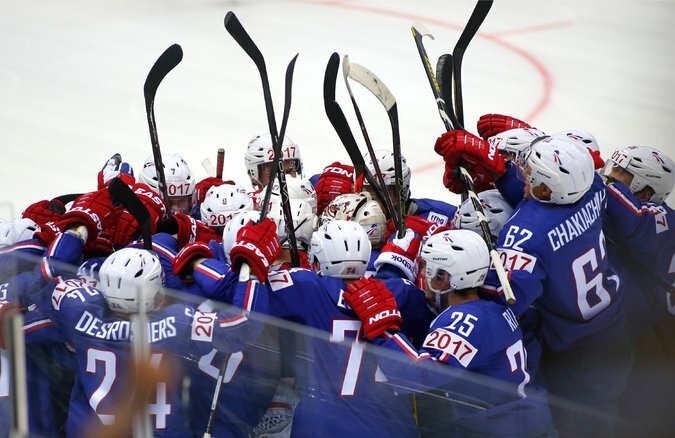 Since its national team became a mainstay in the I.I.H.F.’s top division, French hockey has shown signs of development. Arenas continue to be built throughout the country and the French Cup, the national tournament featuring the country’s top pro teams, draws about 15,000 fans to its final. What’s more, France could soon see one of its own taken in the N.H.L. draft. Eligible for the 2017 draft in June, Alexandre Texier is ranked 16th among European skaters after starring in his first season with the pro team in Grenoble. There may be no greater testament to France’s growth as a hockey nation than its national team roster, which now includes a few current and former N.H.L. players. Along with Bellemare, Dallas Stars forward Antoine Roussel is expected to be a key piece for the team, which will be led onto the ice by the 41-year-old goaltender Cristobal Huet, a veteran of 289 N.H.L. games Huet was the first French player to hoist the Stanley Cup when he won it in 2010 as a member of the Chicago Blackhawks. The defense will be anchored by Yohann Auvitu, who, like Bellemare, navigated European leagues for years before making his N.H.L. debut this season at 27 with the Devils. A decade’s worth of hard work has placed France at the center of the hockey world. Now comes the real challenge: performing in front of a home crowd for the first time in 66 years.